Click below to download printable driving instructions to our address. Contact us for a no-obligation discussion on how we can empower you or help someone you know who is experiencing difficulties to achieve optimum potential. 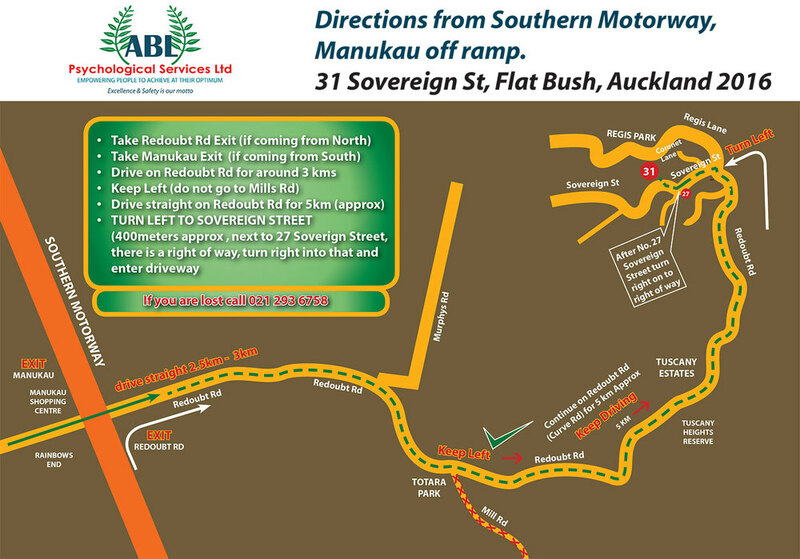 Directions from Ti Rakau Drive & Chapel Road. To download this in pdf format, click here. "We can help people by knowing who they are and working with them to realise who they are."